Going through the entrance of lake Manyara National park,is the commonest route into the Serengeti while coming from Arusha,one of Tanzania’s big cities. Mounting through the escarpment of the rift valley,then going through community farm gardens, to the Ngorongoro crater conservation area, descending down past the plains of Olduvai Gorge,taking the eastern direction, then entering the Serengeti via Naabi Hill Gate.While driving, one can take this distance of 325 kms in approximately 8 hours to get there. During the migration of the wildebeest, there are less cars available. 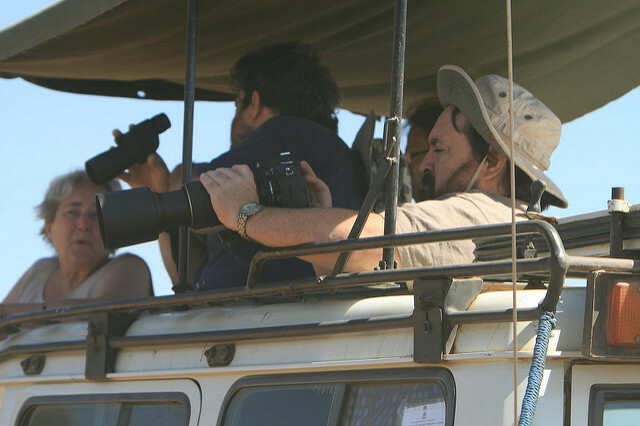 Its always recommended that you choose a Tanzania safari company to arrange your trip. Using the small aircrafts from Arusha ,international flights can be taken to the seronera airstrip which is in the centre of Serengeti that is also commonly known as the Kirawira airstrip in the western stretch(corridor).This can cost 135US $ per person for just a one way.The charter cost flights heavily differ and one is advised to keep their luggage within the limits of 10-15kgs for each person. Preference is taken for soft bags for carrying luggage as compared to the hard baggage suitcases. Kilimanjaro International Airport (KIA) that is located near Arusha is the closest International Airport to the serengeti.The only international airline currently that flies directly to Arusha is KLM ( coming from Amsterdam daily) .Alternatively other airlines like Swissair that flies through Nairobi,Kenya from Zurich or Dar-es Salaam to get a connecting flight to Arusha can also be used. Serengeti is 14,763 sq kms that is also translated as 5,700 sq miles in size.From Arusha,Serengeti is located 335 kms (208 miles) and stretching North to Kenya while neighboring Lake Victoria to the West.Serenget takes its position as Tanzania’s largest and most known National Park.Offering a variety of unprecedented safari opportunities.Save time and venture the vast beauty that it holds.